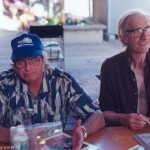 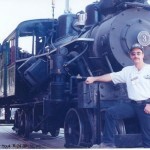 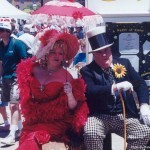 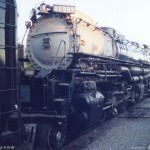 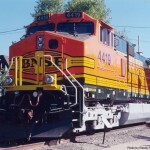 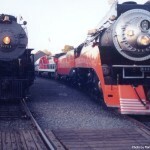 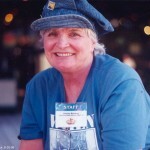 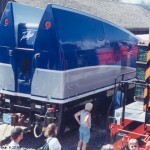 Railfair ’99 was held in Sacramento June 18-27, and the San Diego Railroad Museum sent personnel and equipment. 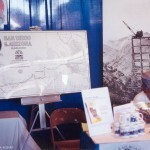 Many volunteers manned our booth greeting hundreds of visitors. 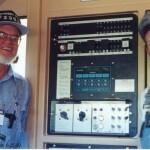 We told them about our museum operations in Campo, CA., and about the history of the San Diego & Arizona Railway. 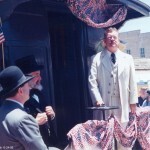 Our 1932 Santa Maria Valley Railway railbus was on display in the roundhouse. 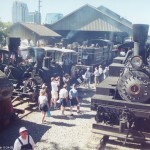 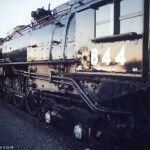 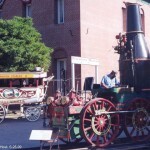 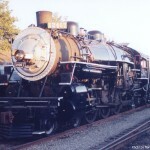 The California State Railroad Museum organized the event. 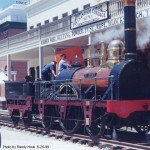 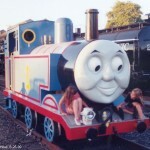 This is a replica of the 1830 locomotive “Best Friend”. 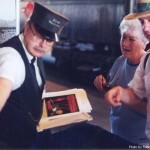 Tony Neece prepares handout material in the SDRM booth. 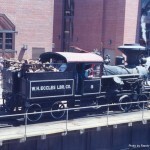 There were many small and large logging locomotives on display.